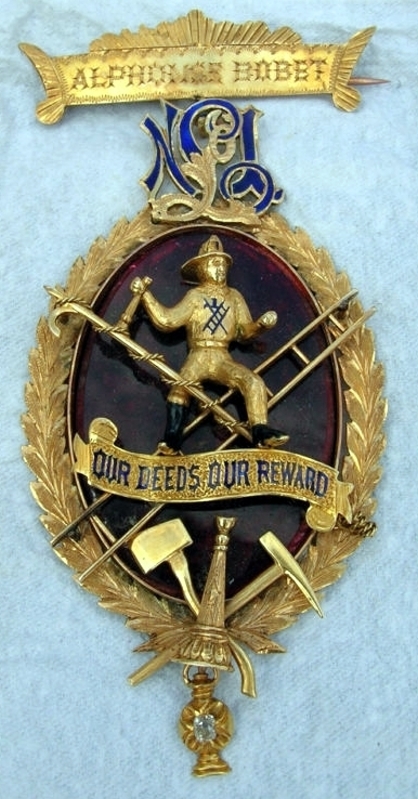 1881 Gold Presentation New Orleans Fire badge. Presented By The Officers & Members of Lafayette H & L Fire Co. .No. 1 Alphonse Bobet As A Token of esteem March 4th 1881. 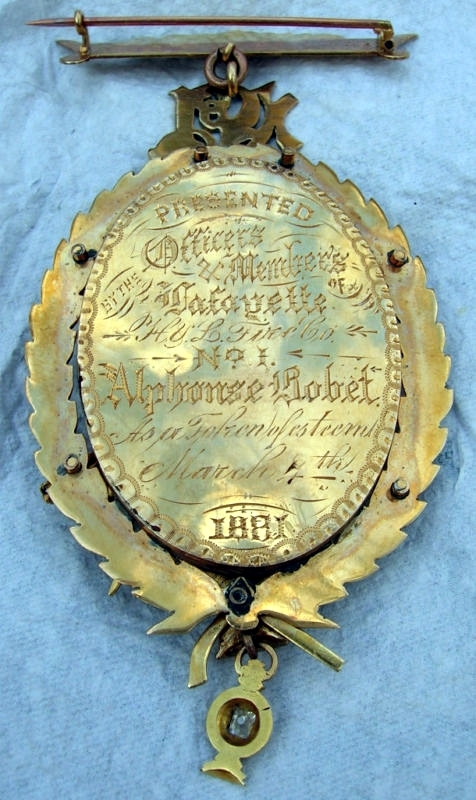 ( hanging from bottom) medal made by JC Meyer of New Orleans. Sterling silver presentation badge from Paducah, KY 2 3/4" tall with hard fired blue and black enamel and hand engraved. W.F.Mc C. G.H.B. 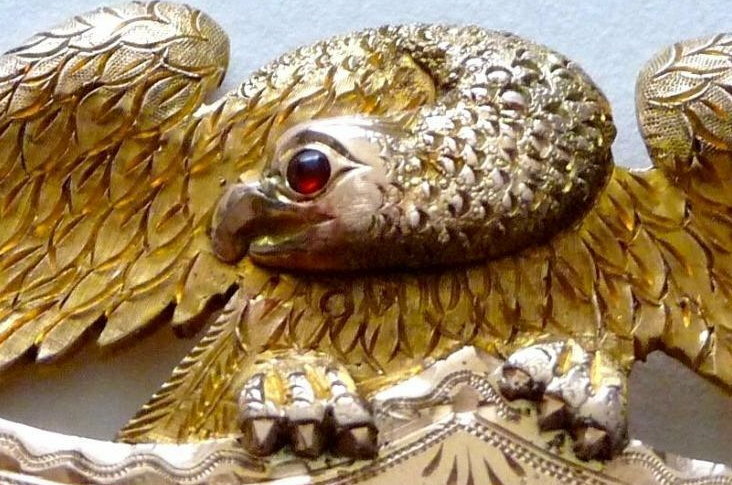 - Chas W.
14k gold badge, possibly from St. Paul, MN. 3" tall with hard fired black enamel and hand engraved. California State Div. of Forestry State Fire Warden badge #951. Sterling. Made by Irvine & Jachens Mission St. San Francisco, circa 1940. San Francisco Fire Dept. Fire Inspector #13. Far Rockaway Fire Department badge #49.